Culver Bulldogs boys cross country team misses state qualifications by one placing. 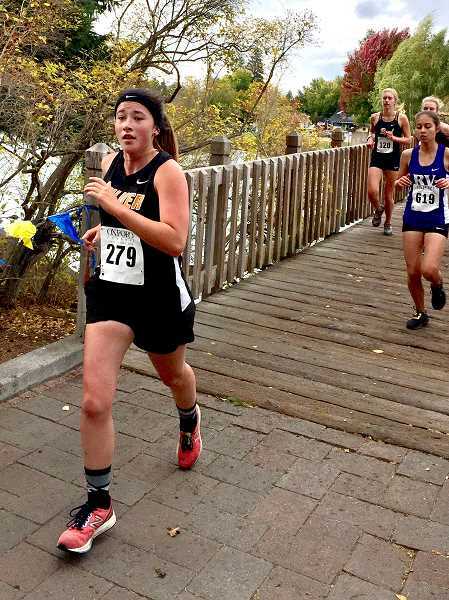 The Culver cross country program participated in the 3A/2A/1A - SD2 District 2 championships in Lebanon Oct. 25. The boys cross country team finished in fifth place with 153 points. East Linn Christian placed first with 44 points, with Chemawa in second with 63. There were a total of 12 boys cross country teams that raced in the district championship run. The first Bulldog to cross the finish line was senior Erick Vega, who finished in 21st place, with a time of 18 minutes, 25 seconds. The next Bulldog was freshman Brayden Macy, with a time of 18:38 to finish the race in 27th. The first-place winner was Jedaiah Wasson, of East Linn Christian, with a time of 15:53. The Culver girls cross country team finished in 12th place with a total of 264 points. Kennedy placed first with 57 points and Neah-Kah-Nie finished in second with 60 points. The first Culver runner to finish the race for the girls was junior Kiana Webb. Webb finished the race with a time of 24:40 to place 47th. Right after Webb was freshman Jasmine Doughtery in 48th place, with a time of 24:48. "All eight of our boys and half of our girls had lifetime best races at the district meet in Lebanon," head Culver cross country coach Tom Kirk said. "Culver boys and girls trained hard this season and they competed at the district meet with courage. As a group, the boys finished fifth, and the top four teams advance to state." "Our team missed an opportunity to compete at the state meet in Eugene by a small margin," he said. "Erick Vega and Brayden Macy both broke into the 18-minute range. Both Evan Powell and Jake Horat ran in the 19 minutes and some for the first time in their careers." "Austin Williams ran a most impressive race as Culver's eighth-seeded runner," Kirk said. "He began the season running five kilometers in 26 minutes, then 24 and 23, then 22. At the district race, he finished the season with a lifetime best 20:08 and was the district's top JV runner." 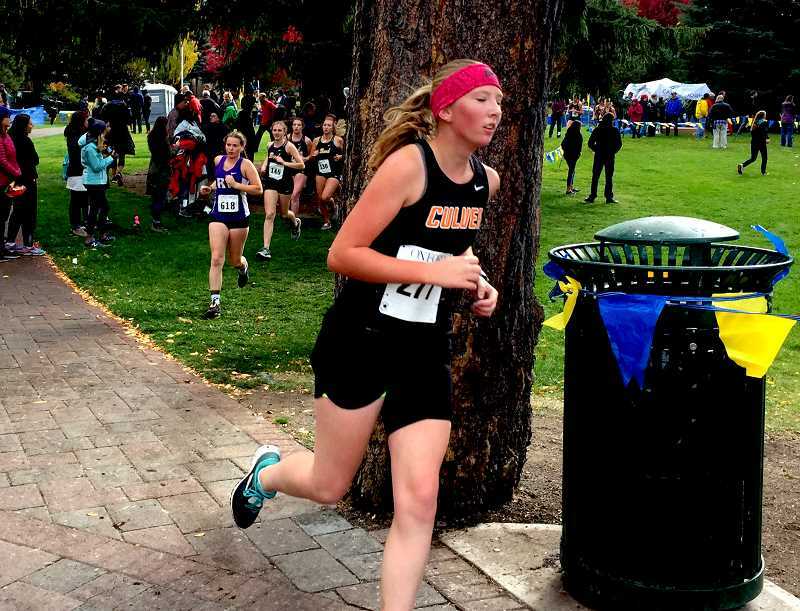 "Kianna Webb was Culver's first finisher in the girls' race," he said. "She improved by nearly two minutes from her previous personal record. Freshman Jasmine Doughtery finished just behind Kianna in the district meet with the best race of her career.